Samsung has released a new software update for the Galaxy S9 and Galaxy S9+, and it brings a new selfie feature that was introduced on the Galaxy S10 lineup. As Samsung notes in the changelog, once the update is installed, the Galaxy S9 will take selfies with a narrower field of view (FOV). The front camera’s rated FOV is 80 degrees, but the update makes the device take selfies with a 68-degree FOV by default and adds a button to switch between 68-degree FOV and 80-degree FOV. This might seem like an odd move, but it actually makes sense. Samsung’s flagship phones have always had a wider field of view than phones from other manufacturers, and while that has always been an advantage with group selfies, it can be overkill if you’re just taking selfies of yourself. 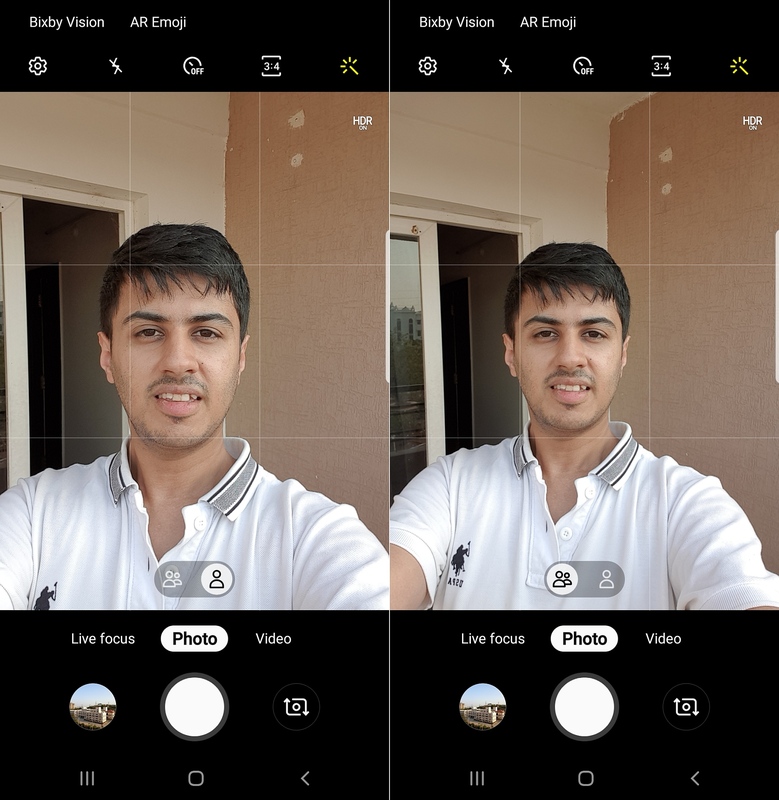 So now, by default, the front camera will take photos with a narrower FOV, but you can switch to the full 80-degree FOV if you want to accommodate more people (or more of the background against which you’re taking a selfie). Samsung was quite active last year in bringing new camera features from the Galaxy S9 and Galaxy Note 9 to older flagships as well as more affordable Galaxies, and we can expect the same to happen with some of the camera features introduced on the Galaxy S10. The company will likely release a similar update for the Galaxy Note 9, but it remains to be seen just how soon that will happen. 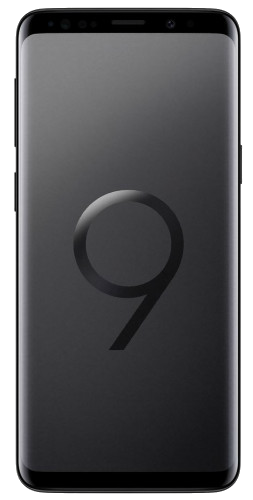 The new Galaxy S9 and S9+ update is currently available in Germany and comes with software version G960FXXU2CSC8 and G965FXXU2CSC8 respectively. The update also adds other camera improvements, such as faster switching between camera modes. It also brings improved stability for Wi-Fi and Samsung’s Messages, Contacts and Video Editor apps. The March 2019 security patch is included as well. You can check if the update is available for you by going into the Software update menu of the Settings app on your phone and tapping Download updates manually. Samsung doesn’t seem to be rolling out the update over Smart Switch yet, but once that happens, you should also be able to find the firmware for the new software in our firmware database for a manual upgrade. Just got the update today in Australia. It also improves on Scene Optimiser as well. The logo colour has changed from green to blue, similar to the logo colour found on the S10 family. Neat new changes. Can anyone with march security update can tell me which version is there for oneUI ? I am on feb security update which has oneUI v1.0 which doesnot have digital wellbeing app integrated so it comes in v1.1. I am rooted i cant use update feature so if you can make me confirm i can download update from firmwares. March note 9 update is still on oneUI 1.0 (the oneUI 1.1 is only for the s10 line currently and most likely till android 10). Also the update is only 100MB and only security patch – not a single one of the fixes/additions for the s9 from February and March is not implemented for the note 9 (that even uses a modem from Dec 2018 and kernel from end of January, just compiled again with no new changes). Nice T-shirt from Ralph Lauren. And at least 1 month for it to arrive in the UAE. Meanwhile NONE of the s9 new features is in the Mar note 9 update! NONE! The selfie camera feature, the better reception, the schedule night mode and the few others! The kernel is from January without a single change (same changelist number!) and the modem is from December 2018 without a single change! They support really good the s9/s9+ and totally abandoned the note 9 and this is insulting! The note 9 is both more premium/expensive and half a year newer… yet they mock us improving and updating the s9 while we receive nothing except half baked security patches. Exactly…even the Note 8 current Pie Update is more stable and have all the features that you mentioned above…Note 9 latest Pie (after 3 updates) is still the same as first crap one and full of annoying bugs and lacks of critical features!!! Note9 BTU UK received a third February security update today. The Kernel version shows March 5th though. We still haven’t received the previous feature update that Germany received and the current above update is yet to come. I still don’t have Android Pie??? Depends what device your running, and your region. For example, in Australia, the Galaxy S8/S8+, Galaxy Note8, Galaxy S9/S9+, Galaxy Note9 have all received the Pie update. It may take a bit longer if you have a Galaxy J or Galaxy A device. The only thing with the Galaxy S8 Pie update is that zooming in on the rear camera is harder now. Instead of zooming from the shutter button, it’s now pinch to zoom. Frustrating.